One of the least talked about war crimes committed by the United States is the use of depleted uranium — a highly controversial radioactive waste that’s been dumped into Iraq by the ton. In spite of multiple international watchdog groups and health organizations pointing out the dangers of using DU, and in spite of the Pentagon claiming they wouldn’t use it, the United States just admitted to using it in Syria. For those that aren’t familiar with the radioactive waste that is DU, it is the byproduct of the production of enriched uranium for use as fuel in nuclear reactors and in the manufacture of nuclear weapons. It is also the US military’s preferred material to use for armor plating and armor-piercing projectiles. In the first three weeks of the conflict in Iraq in 2003, the US Military dumped more than 2,000 tons of this chemically toxic and radioactive waste onto the Iraqi people. Because the half-life of DU is millions of years, the massive quantities dropped in Iraq over the course of the invasion continue to pose a serious health risk to those exposed to it. Amounts in bullets, shells, and bombs vary from 300 grams to 7 tons in the bunker-busters missiles — which rained down from the skies over Iraq — for years. In the course of the two US-led wars in Iraq, it is estimated that tens of thousands of tons of DU have dropped from the sky onto the people. The admitted use of DU is solely reserved to the United States and the United Kingdom. Since its adverse effects first began appearing, there’s been a massive effort to conceal the true and horrifying impact it’s had. However, on Monday, a spokesman for the US Central Command (CENTCOM) told Foreign Policy that 5,265 armor-piercing DU rounds were used in November 2015, during two air raids against Islamic State (IS, formerly ISIS/ISIL) oil tanker convoys in the Deir ez-Zor and Hasakah provinces in eastern Syria. While the US loves to tout the exceptional toughness of DU, they continue to ignore, and, in fact, have covered up and denied the contamination of ground and water, and the significant risk of toxicity, birth defects, and cancer when inhaled or ingested by humans or animals. Not only does DU pose a significant risk to those who live in the areas where the US has dumped it but it is also linked to tens of thousands of potential cancer cases among American troops. However, those numbers are only estimated because immediately after the US began dumping tons of it in Iraq, the Veteran’s Administration began blocking medical journals from accessing cancer stats in its registry. In spite of horrific cases of cancer among us troops — who were proven to test positive for DU in their urine AFTER coming back stateside — the DoD continues to claim it is safe. The World Health Organization (WHO) even got on board with the coverup in 2013. “The rates for spontaneous abortion, stillbirths and congenital birth defects found in the study are consistent with or even lower than international estimates. The study provides no clear evidence to suggest an unusually high rate of congenital birth defects in Iraq,” wrote the WHO in their summary findings of birth defects related to DU in Iraq. However, this was in stark contrast to the findings from Iraqi Ministry of Health officials, who were involved in the same study. Doctors at the Basra maternity hospital in southern Iraq have told the BBC that they have seen a 60% rise in birth defects since 2003, according to the BBC. The MOH officials confirmed that the joint report would furnish “damning evidence” that rates of birth defects are higher in areas experiencing heavy fighting in the 2003 war. In an early press release, WHO similarly acknowledged “existing MOH statistics showing high number of CBD cases” in the “high risk” areas selected for study, as reported by the Gaurdian. However, none of that happened. 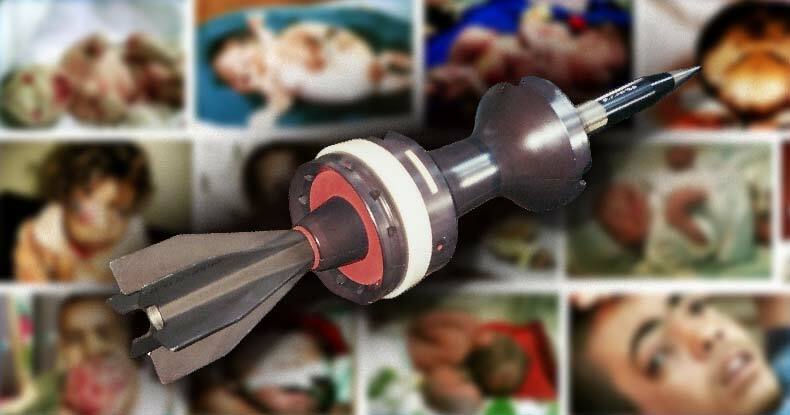 In spite of this coverup in the West, Iraqi doctors and multiple peer-reviewed studies have documented a dramatic increase in infant mortality, cancer and leukaemia in the aftermath of US military bombardment. In Fallujah, doctors are witnessing a “massive unprecedented number” of heart defects, and an increase in the number of nervous system defects, according to the Guardian. In a 2010 International Journal of Environmental Research and Public Health article, Busby and two colleagues, Malak Hamden and Entesar Ariabi, reported a 38-fold increase in leukemia, a 10-fold increase in breast cancer, and infant mortality rates eight times higher than in neighboring Kuwait. These numbers are also likely far greater than reported as women in Iraq who give birth to babies with deformities feel stigmatized and often don’t report them according to Mozhgan Savabieasfahani, a Michigan-based environmental toxicologist who won the 2015 Rachel Carson Award. It is also estimated that the rate of congenital malformations among newborn babies is 14 times higher than that of Japan — immediately following the detonation of two atomic bombs. And now, the people of Syria will begin their horrifying journey down the deadly path to the same fate as Iraq. As the disturbing images in the video below from Democracy Now illustrate — War is hell.